It has been almost a week since we arrived to The Hague, and we have been learning about various issues concerning the elements involved in post-conflict transitions, mainly through the scope of international law. Today it was the turn of civil nonviolent resistance. The day was organized around a set of lectures ranging from historical examples of nonviolent resistance such as the abolitionist movement, Rosa Parks, and Gandhi, to the different forms in which they have been structured and the tactics that have been implemented thus far. Many of us perhaps expected a more theoretical approach, so the specific hands-on analysis of civil nonviolent resistance definitely presented quite a bit of a challenge. The ICNC lecturers built their arguments and platforms through historical examples and discussed the strategic considerations of non-violent resistance. I was left questioning how civic resistance in contemporary societies could occur. Though a historical revision is certainly required in order to understand the roots and evolution of movements of resistance that did not recur to direct violence, I remain unclear about the transformation of its meaning, strategic configuration, and place within contemporary societies, was not redressed. Civic resistance can be, as the speakers stated on many occasions, an essential tool to bring about political transformation, and therefore an effective mechanism to shift the configuration of political power. Nonviolent practices are one of the hardest choices when opposing repression, and the possibility to delegitimize the violent exercise of power (coming from any source) through resistance, is still after centuries, one of the pillars that constitute human political agency. However, there was an air of doubtfulness regarding how we can incorporate such legacy into the contemporary forms of political regimes, available tools, and varied and subtle forms of violence. The theme of our Symposium -namely, Post-Conflict Transitions and International Justice- appeared to be left somewhere in the background, and we all wondered until what point we could in fact incorporate it in transitional scenarios, which indeed require a great deal of nonviolence. Personally, I believe that this issue taps into a bigger problem. Throughout the week, I have realized how technical, methodological, and even conceptual limitations can effectively thwart initiatives to attain a somewhat peaceful stability for a society. 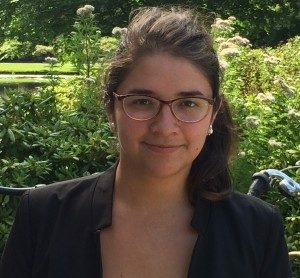 Realizing the limitations, not only of civic nonviolent resistance, but also of institutions like the ICC, I have constantly asked myself how can they actually counter not only direct, brutal violence, but also structural, systemic forms of violence, which do not necessarily perish along with authoritarian regimes. Our Symposium has also been running parallel to two situations which are worth mentioning: the crash of the flight MH17 of Malaysia Airlines in Ukraine, and the offensive strikes of Israel to Palestine in Gaza. Being aware of all the political intricacies that shape these situations, I have not been able to shield my reflections on nonviolent resistance from how the Israel-Palestine situation questions of our preconceptions -and perhaps, our hopes- on the actual effectiveness of civic resistance when people can await nothing, and are left to cope with the abrupt possibility of their own death. Notwithstanding the multiple limitations of international institutions and initiatives, there is a certain urgency not to abandon the idea of a world that somehow tends to diminish violence, oppression, and retaliation. What could be the meaning of civic resistance when we are faced with our own incapacity to resist a situation where the source and origins of violence are as far from our reach as they could ever be? How can we seize the power that legitimately belongs to us, when that power -as liquid and agile as water is- seems to have emancipated from our agency? I invite the readers, along with me, to put aside the legalistic considerations and wonder, just for a moment, what could ever be of that fringe of land in which people, without nationality or political affiliations, have endured so much conflict. Our theories are constrained by the impossibility of all kinds of resistance, and perhaps we can only clench to the resilient hope that, for the sake of future generations, people from every nationality will be able to coexist once more, not despite their differences, but because they acknowledge their own fragility upon the face of the other.